PINCHme - Once, sometimes twice per month PINCHme will load free samples into member accounts at noon eastern time. You select what you want to be included in your sample box. Shipping is also 100% free. All you need to do is leave a review for the products you try. Easy Peasy. Next free sample box event will be April 9th at 12pm est and may include food, beauty products and home products. Get signed up now so you'll be eligible. Daily Goodie Box - Ok so they might not give samples away daily, but they do monthly and there are a few ways to score yourself a free box. First, become a member and fill out all of your profile surveys. Second, interact with them on social media often - this will up your chance of being selected for a box. At least twice per week they will give free sample boxes away to select commenters on their page. Harrys Razors - score a free box with razor, shaving cream and cover, just pay $3 for shipping. Where can you get all of that for $3? Answer: NO where! As always, don't forget to cancel when you get your box in the mail if you don't want any more. Barkbox - $5 (reg. $22) for your first box and FREE extra toys! This deal will not last! Viewpoints - Currently you can apply to receive a free sample box from Hershey's and barkThins. Viewpoints is a sampling program that always has ne opportunities for its members. We post samples from Viewpoints several times per week on MySavings! Allure - Allure Beauty Box ONLY $10 Shipped (up to $90 value). You will practically be getting high-quality beauty products for FREE. Plus, get a FREE FULL-SIZED Juice Beauty Nutrient Moisturizer ($42 value) when you sign up within the next 3 days. Baby Box University - If you live in a qualifying state you will be sent a sample box filled with high quality baby products. RocksBox - Free fashion jewelry and free shipping! I did the first month free with Rocksbox and was impressed! They hand selected really cute jewelry based on a few questions of my fashion preferences. You do have to send this box back after a month or you can choose to purchase all or some of the jewelry for a discount. Graze Snack Box - You'll get 4 free snacks and free shipping with this healthy snack sample box trial! If you don't want to be charged for any future snack boxes after your free one you will need to cancel your subsciptions, which is really easy to do. Sampler - This one requires a mobile phone to get these freebies. You should login every month and see what samples you qualify for. Hot brands like Kiehls, Kotex and Kashi can bei included in your box. Sample Source Currently sold out A few times per year they will mail out a free sample box to everyone who registers! These free sample boxes comes with hot name brand products in sample sizes. 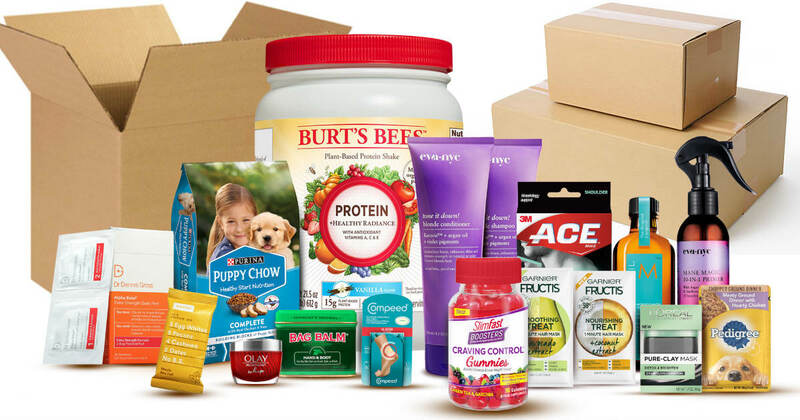 BzzAgent - Become a member and take a few surveys on your lifestyle and you will be able to apply for campaigns for free full sized products. They also sometimes send you samples and coupons to give out to friends. In return you need to post about your freebies on social media and take a survey on your opinions of the products. Ripple Street - This one you'll need to apply for - but it includes full sized Love Beauty & Planet beauty products. It's worth filling out the form ans crossing your fingers.